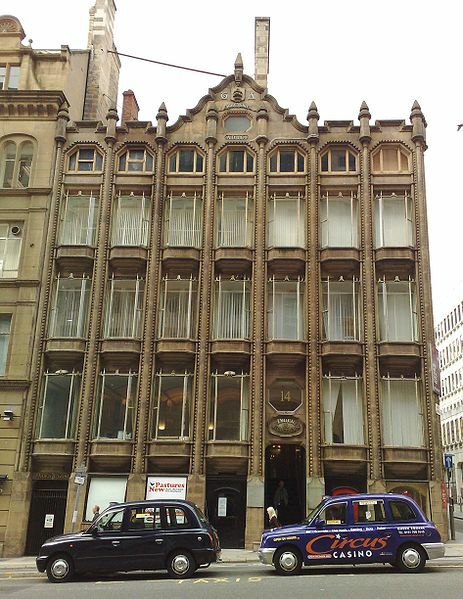 When Oriel Chambers was unveiled in 1864 commentators were sceptical about the building, particularly its use of glass as one person described it as "an agglomeration of great glass bubbles’’. Regardless of early criticisms, this humble five story office block influenced grander projects in the USA like the Home Insurance Building in Chicago and the Waignwright Building in St Louis that were considered the world’s first true sky scrapers. Moving into the 20th century the size of sky scrapers rose vertically as they grew to dominate city skylines from Melbourne to Tokyo and London and to New York. 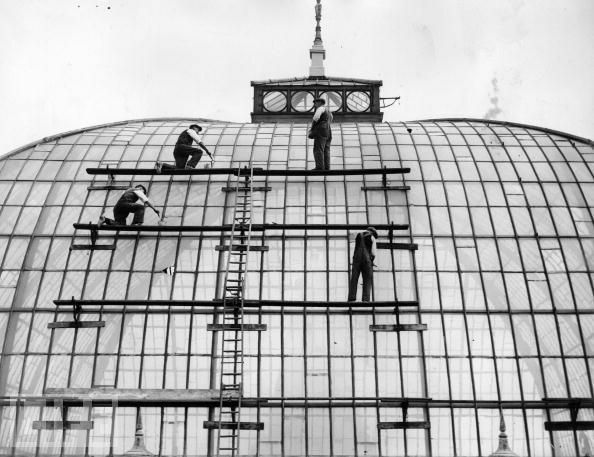 The increase in size led to more glass being required to cover vast iron frames leading to a demand for specialist window cleaners who were tasked with scaling dizzy heights to clean the glass exterior. Completing this maintenance work was a dangerous occupation as health and safety regulations were non-existent and only basic equipment was used to ensure workers safety, as the pictures below reveal. 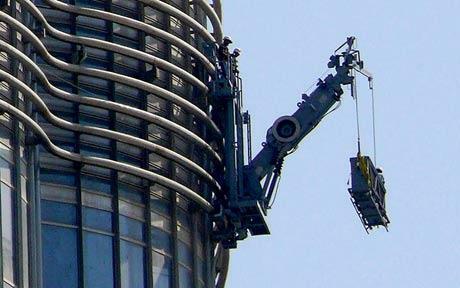 In 2010, modern technology has improved the working conditions of window maintenance specialists particularly those workings at vertigo inducing heights. However, they have not dramatically altered the key ingredients to keep glass clean, soap and water. The world's tallest building Burj Khalifa in Dubai is the best example of this as its 206 storeys covered by 120,0000 square meters of glass and is still cleaned by hand using soap and water. The building is cleaned all year round and is done so by a team of 36 workers who are transported around the building’s exterior in state of the art machines along a track, not too dissimilar to a rollercoaster, although much slower! This state of the art cleaning system cost £4.6 million to build and is the only way to keep the windows clean in the dusty desert conditions. Pilkington glass is also striving to develop glass technologies that reduce the amount of time and money spent on maintaining glass structures of all sizes. Pilkington Activ™ self - cleaning glass is doing just that, and uses the forces of nature to maintain a cleaner and clearer appearance. In a dual-action process, organic dirt is broken down by daylight and is then washed away by rain, thus making it environmentally friendly and very easy to maintain.